The (few) positives of box rest! I’m sure at some point in owning a horse we will all hear the dreaded words from the vet ‘box rest’! However we should try and make to most of the free time from not riding and competing and make our horses comfortable and happy! 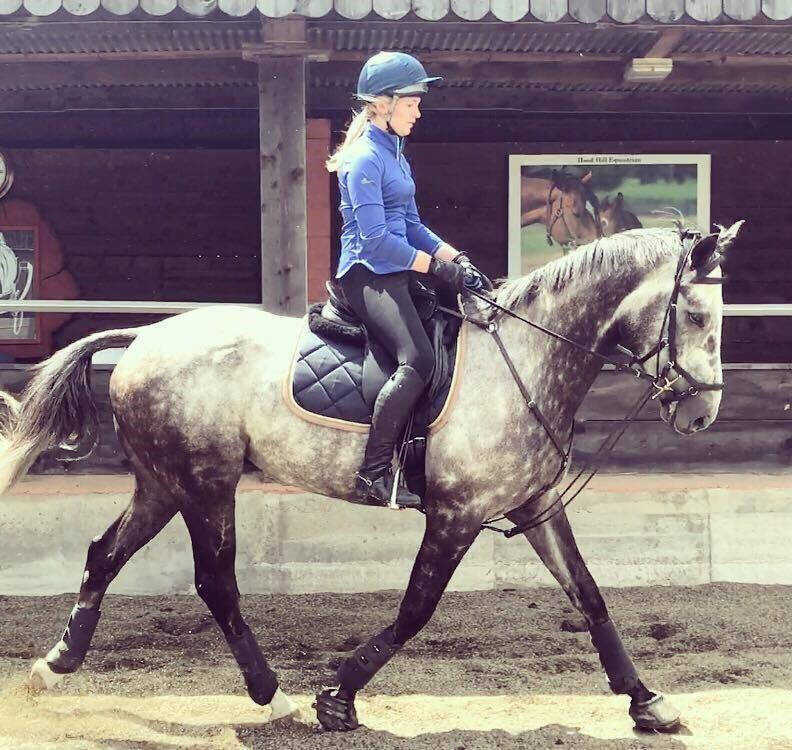 Here are a few ways to make your horses (and your own) time on box rest a bit more bearable! (These will all depend on the reason your horse is on box rest, speak to your vet for advice if unsure). Use this time to give your horse a good pampering! Whilst being stable bound they will more than likely be grateful for some attention, even if they’re normally grumpy. Just be careful not to over do it! Also if you own a massage pad you could use this time to apply it daily, and/or do some carrot stretches to keep your horse supple. Some feed companies offer stable toys to keep horses occupied, however be careful to monitor the sugar content as excess of these can effect your horses teeth! As horses are trickle feeders they need constant access to food, otherwise it can cause all sorts of problems! This is something you can use to your advantage if your horse needs to gain weight, you could introduce a lunch time feed or break their feed down into four feeds spread out through the day. Also treat balls are a way to get food into your horse and also keep them occupied and can be filled with pony nuts or treats. If your horse is a bit on the chubby side, split their daily amount of hay into multiple small holed nets and place in different areas of the stable to slow them down eating and making it last a lot longer. If your horse is known for being stressy in the stable, try feeding a herbal calmer in their feed to try keep them chilled, or speak to your vet about the best option. Double check your stable for anything they may hurt themselves on, even f they have never done it before (eg, rugs on rug racks), you’ll be surprised what they get up to when they have endless amounts of time alone in a stable!! Finally, if possible, allow your horse to hand graze an get some sun on their backs! (Unless in the midst of winter!!) make sure the area is secure incase they decide to get a bit excited! Make sure when they are allowed to go back in the field to introduce them gradually, maybe turn them out in the arena first to take the edge off and reduce more injuries! As an owner, if you’re not being mowed down by vets bills, then your could use the money you’re saving on competition fee’s on saving for that new saddle you’ve been eyeing up, or new breeches! Ready for when you get back on board! Updating your first aid kit is also a good idea , it’s always good to be prepared!! Finally doing some competition planning and maybe fitness or rehabilitation for your horse. The time you’re not spending riding you could have a good clear out or tidy up, or maybe get your winter and summer rugs arranged and washed, tack cleaned, grooming kit washed, lorry or trailer equipment sorted, the list is endless! Make sure you utilize your free time and think of the (few) positives of not being able to ride!